None of the previous points should be overlooked; however, there is a type of SEO that will help you harness a new power from Search Engine Optimisation. Very often businesses and individuals will overlook ‘Offline SEO’, this term loosely describes all activity that takes place away from the internet but is focused on driving traffic to a website. Often, after carrying out all the correct protocol for SEO you may still find that your website is still in need of a boost. It’s time to take a look beyond the online possibilities and take a look round the real world. Search Engine Optimisation is inherently about getting more traffic to your site. SEO can simply be likened to shop location. Having a very well optimised website is like a shop having a great location on a busy street corner. By enhancing SEO you have effectively improved you shop location, your visibility and most importantly, your customers. The old rules of advertising, marketing and word of mouth definitely still apply. The best optimised website in the world will still need some old fashioned conversation, gossip and opinions: online and off. Word of mouth online is obviously making a huge comeback these days with the rise of social media. Websites like Twitter and Facebook are breeding grounds for social exchange and important business tools. An important point of note though, is that the vast majority of conversations and exchanges are not about entities online but things going on in the real world. The true skill in a successful SEO campaign is combining the two areas of offline and online. 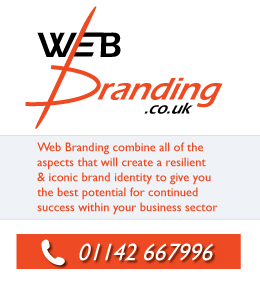 Think about how to create a buzz about your website and business brand. Take to the streets, print out some flyers. Don’t just hand them about but tell people why and for what reason your handing them out. A face to face meeting is going to be far more memorable than an advert online or an individual reading just another flyer. • Host an event or consider participating in already established events to leverage your brand by association. • Run training sessions within your field. Give talks and offer free advice to new businesses. Help within the community. The main point of note that all these examples share is that they promote engagement and are subjects that everyone can relate to and will have an opinion on. Even controversial and radical ideas are great for a good discussion. The more people talk the more your ‘Offsite SEO’ will grow. At present Google are looking at getting rid of the ‘Page Rank’ and putting less emphasis on in links due to link farms and other ‘black hat’ seo techniques. As a result it is becoming even more important to make a name for yourself offline.